To achieve silky smooth hair free skin, try one our hair removal processes. 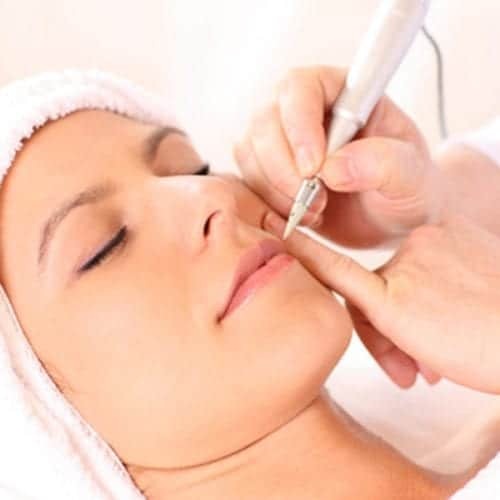 Whether you want to try threading, a very traditional method or more permanent electrolysis method, we can provide it here at the Belmore Centre leaving you feeling fuzz free! Lycon wax is renowned for being perfect for those with a low pain threshold or sensitive skin. Using only the finest resins, natural ingredients and aromatherapy oils, Lycon delivers superior performance, removing stubborn hair as short as 1mm. If you are after perfectly shaped eyebrows or a fuzz-free face, threading is the answer. Using a antibacterial coated thread, it gives your face a smooth finish for up to six weeks. Originating as an ancient hair removal technique, threading is a popular treatment to help remove any unwanted way in a very natural way.